Vacations are not a luxury, but they are a necessity for leading a well-balanced and healthy life. They are as important as eating healthy and doing exercise. One of the best tourist places near Pune is Morachi Chincholi . It is one among the top weekend getaways near Pune. Nature has always showered its graces on Morachi Chincholi. It is one among the most visited holiday places in Pune. It is the best place for those who are looking to get away from the hectic day-to-day city life. What makes it the best tourist place near Pune for Family? It is a hub of numerous recreational activities which are carried out on its premises. There are many available facilities and infrastructures that add to the entertainment factor of the visitors. 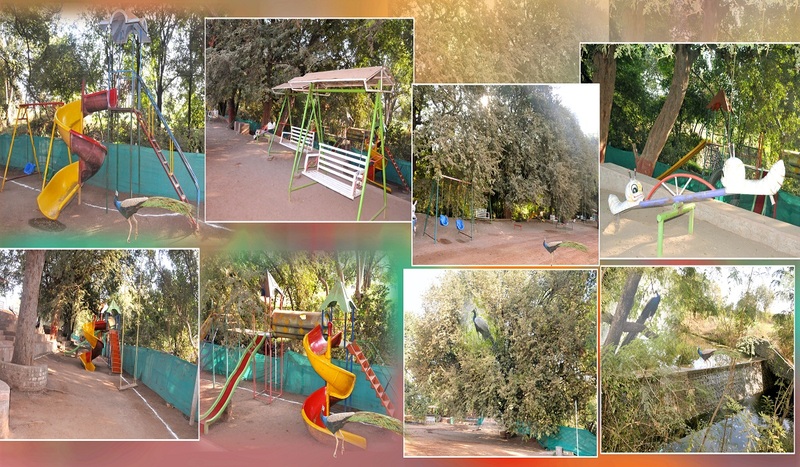 Activities such as tractor rides, Hurda parties, children’s park, rural games, bird watching, candle nights, nursery, out of door games, and tenting are being organized. There are special arrangements for children to perform their fun-loving activities with complete freedom. Children’s park, magic show, puppet show are a few of the glimpses of the activities which are organized in particular for kids. A day trip to this top weekend getaways near Pune can be very refreshing, energizing, and revitalizing. It gives an enthralling experience and a marvelous feel of a rural lifestyle. It is a pollution free organic farm and that makes the destination acceptable to all. It has been approved by the MTDC and ATDC as a Peacock Sanctuary for the tourist location. This, in turn has also improved the economic condition of the villagers. The Morachi Chincholi –Mayur Baug is a perfect example of Gram Swatchata Abhiyaan that is started by the central government. Mayur Baug has an amusing view gallery that is always full of travelers who are excited to look at the birds with their shining eyes. You may check different packages. Mayur Baug is one’s best spot for a day’s journey to watch the wonderful birds in their magical splendor and in abundance. Following are the reasons what makes it a perfect picnic spot and the best tourist destination. It is a graceful village blessed with sacred peacocks and noble shady tamarind trees. It is located at 55 Kms from Pune and around 180 Kms away from Mumbai. An overnight stay in the village that will give you the best peafowl experience. It is a place where one will find wild peacocks more than the population of local villagers. I am going to share some knowledge about a crop that is being grown in our country for several years and also has been consumed by our grandparents to stay healthy and fit in their times. This crop has been forgotten by us and many people don’t even know what kind of benefits it has on our health. Jowar is a crop which is gluten-free. This would be a good news for people suffering from gluten enteropathy. The people who are facing problems with consuming wheat, which is actually gluten can actually consume Jowar which is free from gluten. Additionally, jowar is also high in fibre, thus the people who are suffering from cholesterol or diabetes, jowar can help these people to handle their sugar levels. If you are a person who is looking out for a diet to lose weight, then start consuming jowar flatbreads instead of normal wheat bread this will help you lose your weight faster. Jowar is also rich in iron, which is a key factor to maintain our haemoglobin levels. Jowar is baked with yeast in some countries to improve the digestive part of the crop. Jowar should be mostly consumed in winter because it helps to maintain the body heat. It is also rich in thymine, calcium, magnesium and Niacin. Thymine is necessary for our nervous system, calcium and magnesium both are required for the bone health, and Niacin or Vitamin B3 for transforming food to usable form of energy for the body. Jowar is also rich in protein, which is very good for muscle build up. If you want to enjoy the true taste of jowar, then I would recommend you to visit Morachi Chincholi during the winter season. This is the only place where you can taste the first ripe of jowar. The people at Morachi Chincholi grow Surti jowar which is very famous for its taste. As these jowar farms are located near to this place, you will be easily provided with fresh jowar right on time. You will get a chance to taste the tender jowar stalks which are roasted in hot coal and served with dry coconut and dried red chillichutney. Pune is the second biggest city in the Indian province of Maharashtra, after Mumbai. It is the ninth most crowded city in the nation with an expected populace of 3.13 million. According to the 2011 statistics, the urban territory has a joined populace of 5.05 million while the number of inhabitants in the metropolitan area is assessed at 7.27 million. Situated 560 meters (1,837 feet) above ocean level on the Deccan level on the precise bank of the Mutha river, Pune is likewise the authoritative central command of its namesake region. In the eighteenth century, the city was the seat of the Peshwas, the leaders of the Maratha Empire as was a standout amongst the most imperative political focuses on the Indian subcontinent. Pune today is one of the main urban areas in India. It is a mix of the rich legacy and modernization. Countless educational foundations in India like the National Defense Academy,FTII,NCL, IUCAA are boasting in Pune and also Pune is a host to top software design firms like Infosys, Satyam, IBM, Wipro, and so forth. Pune’s nearness to Mumbai, combined with its mild atmosphere, settling in Pune is a perfect decision for living/business for many of us. From a small university town to an assembling center point, Pune has seen a noteworthy influx of progress. Various vehicle makers and auxiliary organizations have today contributed intensely to set up best in class generation offices in Pune. Among the primary movers in this section were Tata Motors and Cummins, the main producer of diesel and petroleum gas motors, and as of late, Mercedes-Benz and development and homestead gear major JCB. The Automotive Research Institute of India is likewise situated here and gives a chance to explore, improve, in testing and confirmation administrations. Set on driving development promptly, the Maharashtra government has contributed a key part in drawing in speculation and extending the limits of the industry. Along these lines, Pune has accomplished remarkable energy and dynamism on the back of its notoriety both as a scholarly focus and as a business center, with Information Technology having turned into the dominating business driving its economy, work creation and land request. It’s a given that Pune’s development story is certainly not a transitory marvel. The city will extend exponentially in the years to come, both geologically and monetarily. This is termed as urbanization. Urbanization is a procedure of getting to be urban i.e. moving to urban areas and moving from agribusiness to the occupations like administrations and enterprises that are regular to urban communities. Urbanization is viewed as the best approach to modernize by the exchange of populace from the provincial to urban focuses. Business openings in urban focuses. The increment in the way of life. This will carry its own difficulties with it, as a considerable lot of which is being reflected today. The ulcers of urbanization and industrialization have changed over the once paradises like towns and urban areas into the abyss. The sylvan excellence, which one could find in suburbia, has been supplanted by organizations and factories. The horizon that used to be overwhelmed by tall trees is a terrible sight of stacks heaving harmful exhaust! The reasonable rills, streams, lakes,and creeks that were outing spots have been changed over into waste channels, conveying effluents to the waterway, which has turned into a greater channel conveying the filth to the ocean! The whole world is losing its excellence and immaculateness. The humankind, a quiet observer to this terrible change is sitting tight for some holy messenger to descend and do the cleaning, protecting, and contamination overseeing! No holy messenger will want our assistance. We have made this heck, and we ourselves should re-establish and recover its lost immaculateness and excellence! There are triviality and unoriginality among the urbanites. Urban culture is exceptionally heterogeneous and specific. Along these lines, the outcome is the absence of the personal relationship. The urban individuals live near one another yet without passionate ties. Urban social connection happens between outsiders. The idea of the neighborhood, network life is relatively missing in urban communities. Individuals are regularly narcissistic, and they have no worry for the kindred people. Urban life is portrayed by pressure which may even strain family relations.What’s more, urban living can be undermined on the off chance that you don’t have sufficient space of your own, in the event that you encounter deficient security or live under unsteady financial conditions. Stress increments with the expectation of unfavorable circumstances and the dread of not having the sufficient assets to react to them. Living in an urban situation is for some time known to be a hazard factor for mental maladies, for example, significant despondency or schizophrenia. This is genuine despite the fact that framework, financial conditions, sustenance and human services administrations are plainly preferred in urban communities over in rustic zones. Higher pressure presentation and higher-pressure helplessness appear to assume a significant part. Social pressure might be the most imperative factor for the expanded danger of mental issue in urban zones. It might be experienced as a social evaluative danger, or as endless social pressure, both of which are probably going to happen as an immediate outcome of high populace densities in urban areas. With respect to the effect on psychological wellness, social pressure appears to exceed other urban stressors, for example, corruption or demand. The sweltering and sticky condition, on the grounds that everybody is packed in one focal region there is a lessening in the stream of air which brings about a muggy climate. Less arable land, as populaces swell the requirement for land to assemble house and ventures expands in this way decreasing area for farming. The land that is left for farming uses a considerable measure of manures to build sustenance creation along these lines degrading the nature of agribusiness. How to tackle these conditions? To rejuvenate themselves, people should visit those places more often which are serene, beautiful and peaceful. When you visit those places, you will feel like visiting a paradise. Heaven is the term for a position of immortal harmony. The Abrahamic beliefs connect heaven with the Garden of Eden, that is, the ideal condition of the world preceding the go wrong, and the ideal express that will be reestablished in the World to Come. Paradise is where there is no issues or torment, it’s an everlasting extravagance. One of these places which is like a paradise is near Pune. The paradise near Pune is MorachiChincholi. 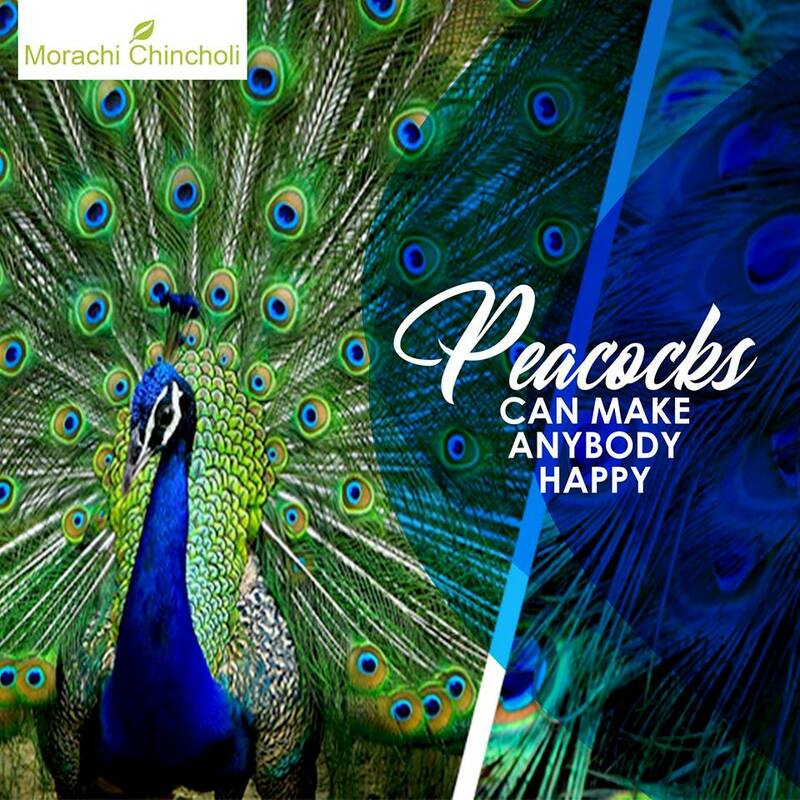 Morachi Chincholi– better known as Mayur Baug has the 25-acre of the land and is the village of peacocks, close to Pune. This place is one of its kind which no vacationer would want to miss. This village is a model in Agritourism that is quickly making up for lost time in India. Today a short visit to Mayur Baug gives you a snappy peep into the provincial way of life of Maharashtra. Morachi Chincholi features a genuine perfect Indian town with all the conventional culture. Peacocks at this place are to some degree used to local people living in the village yet are shy to visitors. Morachi Chincholi implies a village of beautiful and dancing peacocks. A single day’s journey to Morachi Chincholi offers an opportunity to discover part of peacocks wherever in this small place. This village gives you a genuine vibe of the Indian field! As the shroud of haziness lifted from Chincholi Morachi, proclaiming another day, it was life as common for the villagers. Morachi Chincholi, appealing spots dug in provincial Maharashtra yet very close for a joyful one-day trip from Pune. There are gigantic exercises at Morachi Chincholi which incorporates bullock truck rides, tractor rides, hurda parties, kids stop, country diversions, flying creature viewing, candlenights, nursery, open-air amusements, outdoors and tent offices. It likewise incorporates kids stop, enchantment appears, manikin appears and other domesticated animals. All exercises spin around contamination and commotion free condition. They have a board of perceptive individuals that will deal with you past your desires. Peacock is the national feathered creature of India. It is an expansive and brilliantly shaded winged creature of the fowl family local to South Asia, however, presented and semi-wild in numerous different parts of the world. Morachi Chincholi Bird Sanctuary additionally makes for an awesome escape from the enraging surge of the city; the place is simply so tranquil and lovely that you would wish to remain somewhat longer each time you visit here.Peacocks are omnivores. They feed on termites, plant parts, ticks, insects, mice, scorpions, ants, bloom petals, seed heads, and different reptiles, arthropods,and creatures of land and water. Peacocks are very agreeable flying creatures. Peacocks can fly for short distances. A wingspan of a peacock can be of six feet. A youthful peacock is known as a peachick. Peacocks’ life expectancy is up to 20 years. The males utilize their shining tail show, containing vast, little plumes, in their masculine move for the best mate. The prepare of quills is upheld by littler, shorter tail plumes. These bright tail quills don’t create till the peacock is three years of age, and the trains are shed yearly, for the most part amid the winter months. Males make boisterous sobbing cries when recognizes any hazard drawing nearer. Morachi Chincholi is the perfect entertainment place for nature-lovers. An outing arranged together with family or companions displays one’s sensational persona. 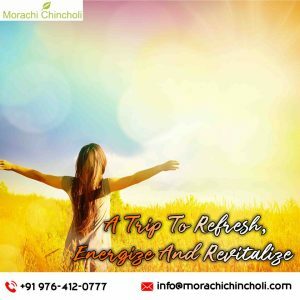 At Chincholi Morachi one can inspire and treasure one’s mind-blowing moment.You’d plan your trip such that, you can land at noon. After lunch, you can take a snooze in the cool shadow of Mango trees in the field. From that point onward, you can appreciate a stroll around the village to see the marvels of field life and get ready for peacock seeing at night. Appreciate supper with villagers under open sky within the sight of moon and stars (which you miss in the city culture). In the early morning, you can get up and watch the peacocks touching base close to villager’s home for their morning feed. Shivar pheri (trip around the town in tractor/bullock truck) and get the diagram of development and cultivation took after by our ranchers in Morachi Chincholi. Life would be a smooth and pleasant experience if we love the way life goes on with its own set of highs and lows. We all love being happy and content with whatever resources we have but in this competitive world, everyone is leading a tough life with an increased set of responsibilities, challenges, targets and deadlines. As a result, people suffer from depression, frustration, anxiety and negativity. It is important to work but it is more important to balance your life properly. And to balance life, spend some time with your favourite people, with yourself, and most importantly with nature. People exercise regularly to keep themselves healthy and fit but it’s quite difficult to keep your mind healthy. It’s important to make your mind healthy as well. Make some space for yourself and enjoy your life. Nature is full of beauties, we are surrounded by the most beautiful part of nature which most of the time we ignore and do not even recognize. Enjoy golden sight at dawn, feel dewdrop on blades of grass and beautiful glory at evening. Enjoy cloudy climate, the smell of raindrops falling on the laps of soil. Take out some time from your busy schedule to spend with nature, to enjoy these moments and make yourself peaceful. Create your memorable moments in the surroundings of traditional culture and nature; you can live your childhood, create those memories that you want to live again. Come to Morachi Chincholi and we help you relive the moments of your childhood memories and while leaving this beautiful place you will leave with positive energy, peace, happiness, and satisfaction. Morachi Chincholi is a well-known place for natural beauty and dancing peacock. This place is located approximately at a distance of 55km from Pune. Morachi Chincholi is the top weekend gateways near Pune for all those who look out to spare some moments from their busy schedules to retain back the energy for the upcoming days. It is a village with traditional culture. You should visit this place to experience the rural lifestyle and all those experiences which you never had but it could be a part of your weekend life. If you want to enjoy the flavours of village life then Morachi Chincholi is the best place for your weekends. Because you can live here like the local people do with their lifestyle at Morachi. You can enjoy rural life with tractor rides, horse riding, bullock cart rides and memorize your childhood memories. Enjoy bonfire with Hurda party. In hurda party, enjoy roasted Jawar with special flavours. Just live that moment and enjoy your weekend. Kids gradually spend time in indoor games. They need fresh air and exercise. At Morachi Chincholi we introduce them to rural games like Gilli Danda, give them the experience to swing on the tree. They can play very simple games which is not a usual experience for them as they nowadays spend more time on Mobile Games or Video Games. This experience will become an enriching part of your child’s memories. Be a part of all this lovely experience. Kids can know more about astronaut world as they like to be a part of space world and more often are fascinated by the space crafts and spaceships. They can enjoy and learn here. Nature has myriad facets and they keep changing from season to season. We take care of that nature, you can see that beautiful change over here. 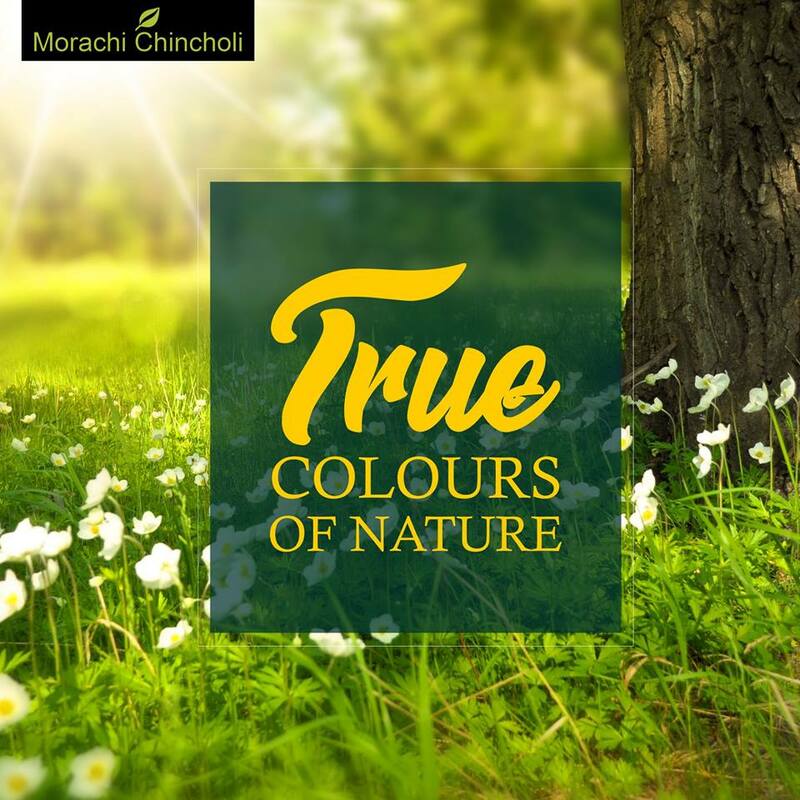 The nursery at Morachi gives you a feel of the beauty of nature. It showcases different types of flowers and plants. You can enjoy colourful flowers and plants. Morachi Chincholi is a famous place for dancing peacocks; you can see peacocks everywhere. Not only peacocks but also different types of birds. Enjoy with this beautiful variety of bird life and flowers at this beautiful picnic spot. Want to open your eyes in fresh and pure nature, want to stay away from the annoying alarm clocks and phone. Then get ready for camping which can help you to exercise, reduce your stress, can make you more energized. At Morachi Chincholi you can get the experience of camping and to live in the tent. Enjoy camping in nature with rain, with traditional culture with the best facilities. Every place has a unique identity and unique food. Morachi Chincholi is the village place so you can enjoy traditional menus like Puranpoli, Amras, petal-Bhakri, tech, Varanbhat, Karalachi Chatani etc. Enjoy this tasty food with Kandil lights, it’s like candle light dinner with the rural touch. Enjoy yummy food in Kandil Nights. Monsoon is the best time to visit this place because in this season you can see the peacocks, spreading their beautiful and colourful feathers and dance with raindrops. At Morachi you can enjoy the puppet show and fort museum. Morachi chincholi is one of the best holiday places near Pune. This place is far from the city crowd and pollution. This place gives an enhancing experience of rural community and helps to connect with our culture. This is the best place to forget the rough life of a city. The spot where you can enjoy with family as well as friends, you can stay here with them by booking cottages. Come and enjoy your life with nature and dancing peacock. A natural weekend is waiting for you. Help your near and dear ones live the beautiful life with nature. The family is the biggest blessing of God which we cherish for the whole of your life. Every life is complete with the family as a family together holds a significant role in our lives. For a family to be perfect, a perfect blending of relationships is required and this comes with the understanding of every relation. In a society, a good family is indeed a required essential as it helps to build a good community. It has been said many times that to get a perfect bond with each other, it is must for all to spend the quality time and give time to every relation of life. In the puzzles of life struggles, it becomes quite difficult to give time to all the relations equally and it sometimes becomes the most evident reason to loosen the ties of your relationships. Some damages are irreversible and it is wise advice to find a better way to nourish your relations rather than putting them at the stake. To make it possible, going for a holiday is the most influential way to live your relations properly. A family that holidays together, stays together for a longer and longer time. 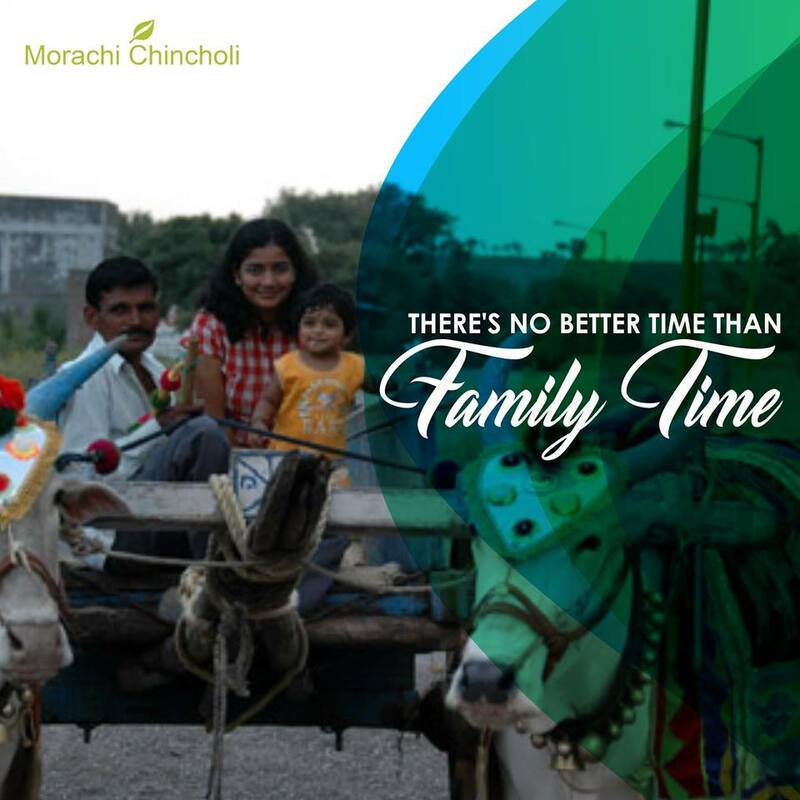 If you are looking for a quick escape with your family that too in the middle of a month where you cannot afford much of the expenses, going for a family trip to Morachi Chincholi, a place near to Pune is one of the most admirable options. Distinctively, this place is blessed with the outer as well as the internal beauty of nature that makes it a must visit the place if you are inhabited in a city life. The place gives you a hypnotic outlook of different flora and fauna, making it befitted for a nature lover. On one side the place offers you a scenic beauty and on the other side, you will be able to get a great hospitality from the people there. The place does offer a glimpse into rural India and make us realize the freshness of our soil. The expanded farms, fertilized with natural organic vegetables, the bullock cart ride, the sunset view, the night stars and many more give you an adrenal rush. All these natural variants give you a quick tempt to visit the place and witness the fresh beauty with your naked eyes. If you are living in a joint family or a nuclear family, plan a visit to one of the best holiday destinations in the Pune and we bet you won’t regret your decision. Forget about fancy lightings and noisy nights, get ready to experience the enthralling series of events where you will be welcomed by the sparkles of stars, watching at you from above and will be able to listen to the sounds of leaves making your stay blended with comfort. There is no other way you can make your family happy, other than giving your time, listen to their emotions and talking with them through the heart. If you are close to your family, book your visit at the earliest to make them feel special. Morachi Chincholi is a place that a tourist cannot miss out. This is a well-known place serene beauty and dancing peacocks. The beauty of the peacocks is attracted by many tourists including foreigners. 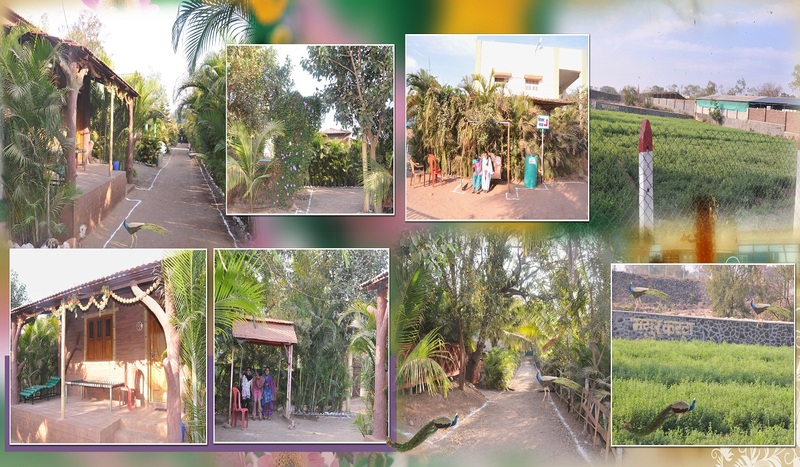 The village is situated 25 acres away from the city of Pune in a place called Mayur Baug. It is situated in the rural area of Maharashtra yet it attracts many tourists with its alluring beauty. People say the place is good to visit in the monsoon, although the natural beauty is attracted by all at any season. Along with enjoying the beauty of the peacocks, there are many other things to do for kids as well as for the grownups. There are a lot of options to do like bullock cart ride, entertainment programs for kids like slides and many types of swings. It also has puppet shows which are very unique. The traditional magic show also conducted time to time when programs are there. 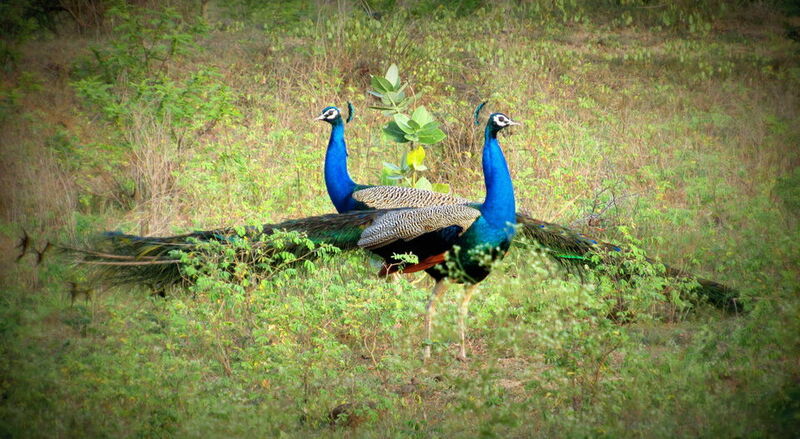 People those who wanted to see the beauty of peacocks from very near should visit the Morachi Chincholi near Pune. The place is well known for the peacock dance. More of the activities include tractor rides, Children’s Park, rural games, candle nights, bird watching, outdoor games, Hurda parties and camping and tent facilities. One should visit the village to experience the rural lifestyle as well as the serene beauty of the villages outside the city which is polluted and full of noise. All activities happen here in an unpolluted and noise free environment. There is a committee of observant members who will take care of all the visitors here and make your expectations fulfil beyond the limit. Morachi Chincholi near Pune is an example of a true Indian village with all the culture of an Indian village. Peacocks in this area are very attractive and used to the villagers but are a little bit shy of the tourists come here. The village is well known for its dancing peacocks. Many tourists visit the place just to see and enjoy the beauty of the peacocks. There are countless peacocks in this village. A day’s visit to the place even today will make you see countless peacocks in all spots of the village although the village is very small. As the village is very small, people can enjoy every beauty of this place along with friends and families. One should visit this place to know the true feel of the Indian countryside. This is a rare chance for people getting to see the peacocks out of the zoo. People wonder by seeing the beauty of peacocks in the village and how beautiful the peacocks are than they saw them in the zoo. One should visit this place to experience the real beauty of the peacocks. 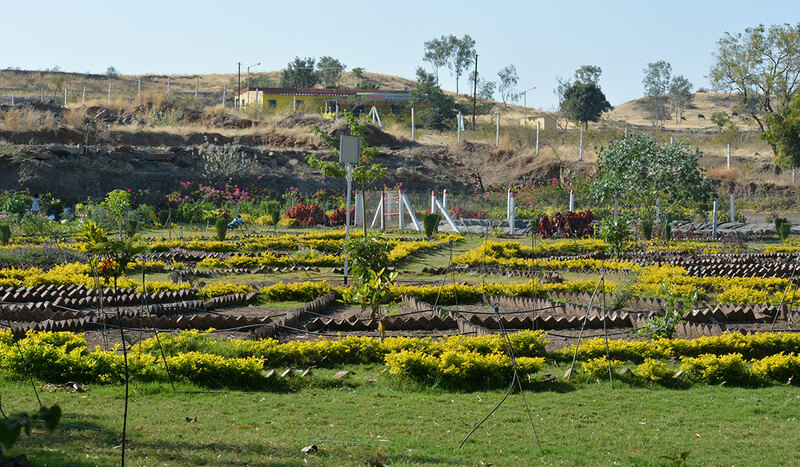 All who came to this spot suggest their friends, to visit at least once as it is one of the best picnic spots near Pune. People enjoy the trip to this unique spot along with their family and friends. People come and have all types of fun in this place. Many of them consider this as their favourite place as they can do any kind of fun there. Now it’s your chance to go and enjoy the beauty of the Chincholi Morachi near Pune.